Full HD Display | Flexible Multi-Joint | Built-in Mic | Widely Available Generic Interfaces | Compatible With Interactive Flat Panel. Check Out Joy-DocCam V500 Features With This Video. Output crisp, colorful and high definition images by 8.0 Mega Pixels CMOS sensor. The proprietary algorithm makes sure optimized imaging quality, enhanced characters and every detail on the paper. 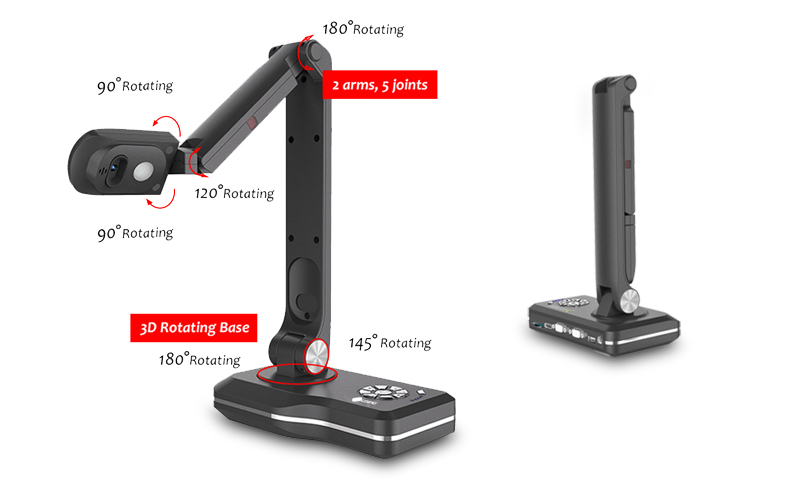 Five joints in two arms, perfectly reveal details from close-up to full shot of various objects. 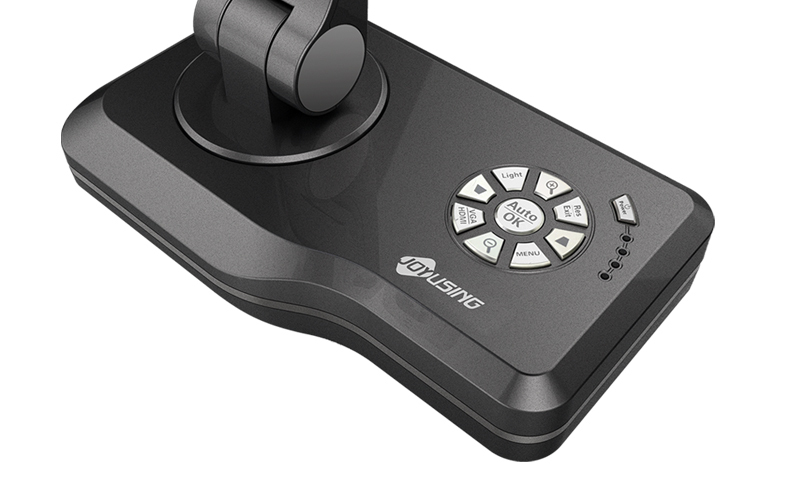 Capture 3d objects or even whole room from any angle by flexible joints and digital zooming..
​Proper layout and functional integration of physical buttons for a more convenient user experience. Provide remote controller to free users during the whole demonstration. 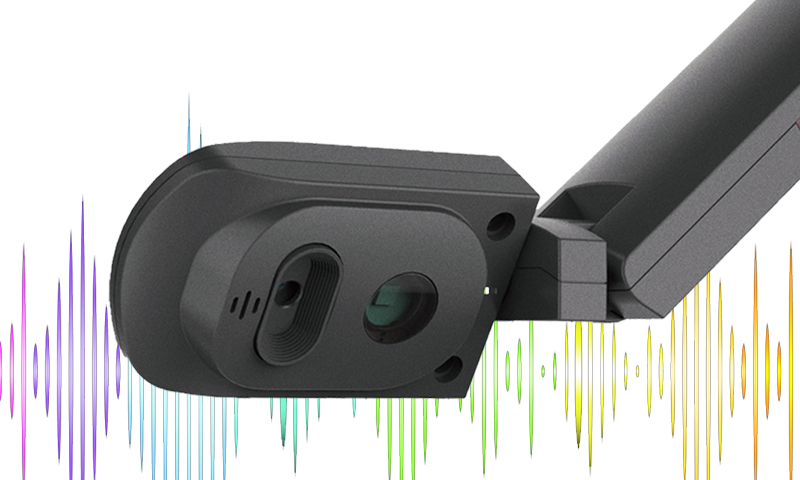 Using one-click record with built-in microphone, capture every precious moment. 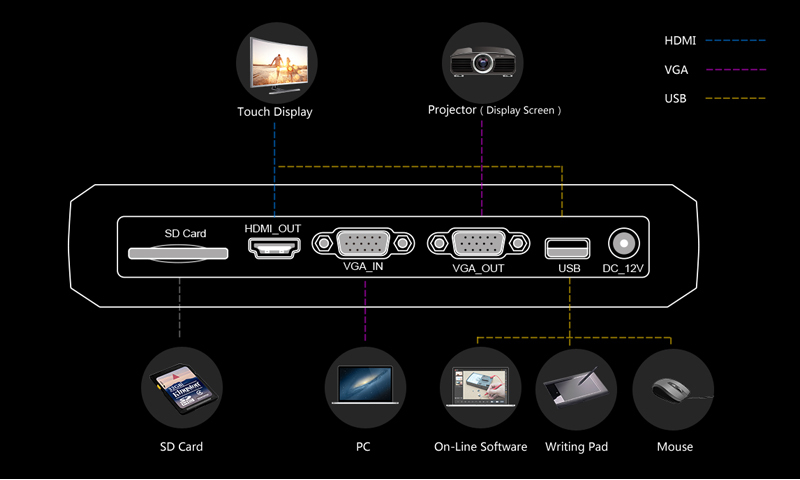 SD Card / USB ports / HDMI OUT/ VGA IN&OUT. 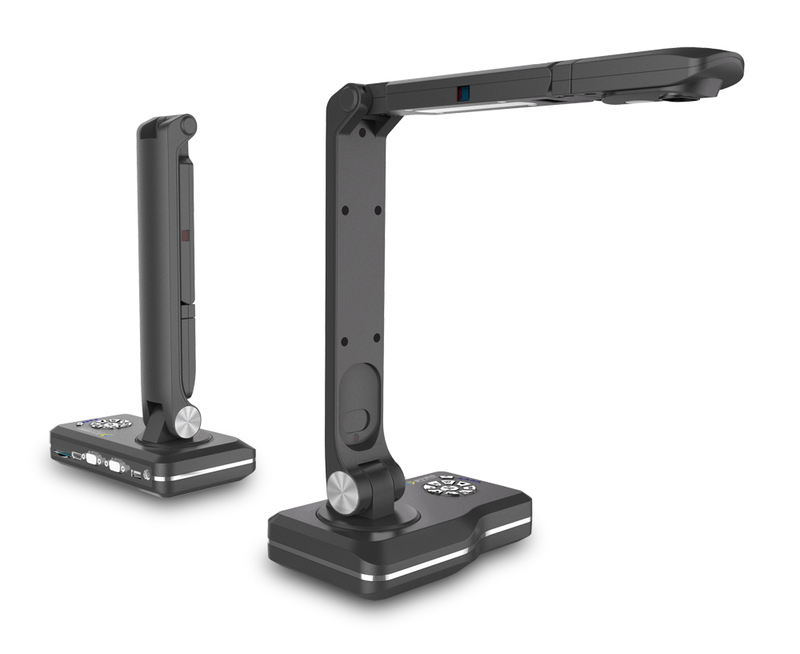 Joy-DocCam V500 could easily reach out to various displaying terminals. We offer a variety of services to help you get good products. ​With touch screen use, through the box selected part you can screen full view of the selected local details. ​The picture-in-picture allows you to show a large window with a featured section, while a smaller window keeps perspective on the original image. So,students stay focused and the lesson remains clear. 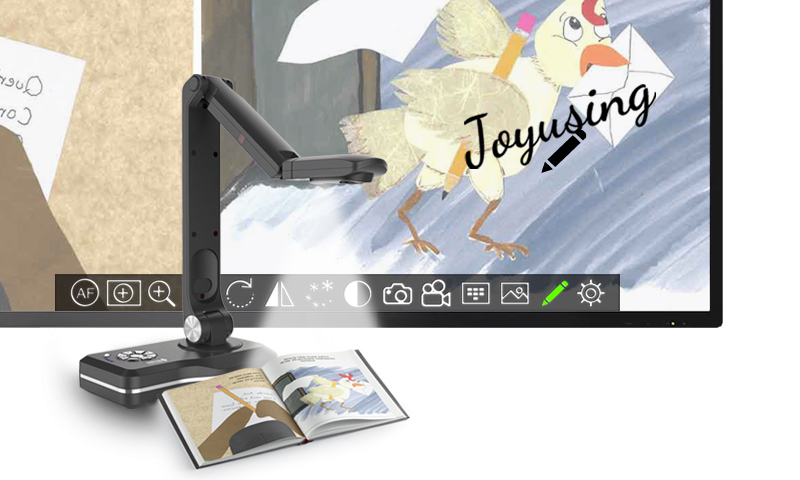 ​So that the image can be multi-faceted display,make teaching more convenient to show freely. ​The split screen function allows the live image of an object being captured to be displayed alongside an image stored on the internal/external memory. This dual projection capability can help to improve student understanding by showing complimentary date. ​Add written text and drawing to the live image,and save both annotation and image data together.